Solita storia per la gastronomia...quando imperversa qualche mania culinaria (vedi metcha, muffin, cupcakes), sono sempre l'ultima ad allinearmi col resto della blogosfera (se mi allineo...). Tempo fa (anni fa! 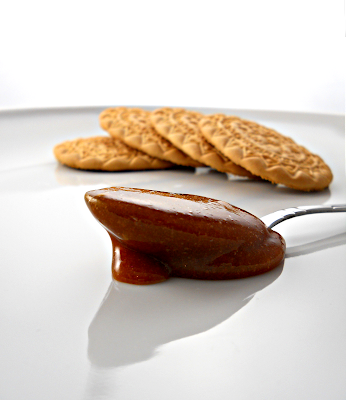 ), andava alla grande il dulche de leche. Probabilmente, una banalita' per i sudamericani, ma non per i blogger italiani che ne furono letteralmente conquistati. Ammettiamolo: il dulche de leche e' buono, molto buono, e' difficile resistergli. Da amante del dolce stucchevole, l'ho adorato all'istante. Ma, chissa' come mai, non mi sia mai venuto in mente di farlo a casa. Eppure la ricetta e' davvero semplice! Mi dicevo: ma si, e' cosi' facile! Prima o poi lo faro'. I am not the kind of person who follows the trends. It always take me a while to get interested in something new. A few examples? I do not have facebook, I just recently got a smartphone (well, it was a gift), I am still debating if opening an occount on Twittter and so on. Likewise when there is a new foodie trend (e.g. muffins, cupcakes, matcha stuff...), I am always the last one to try it (if I do...). A while ago (years ago! 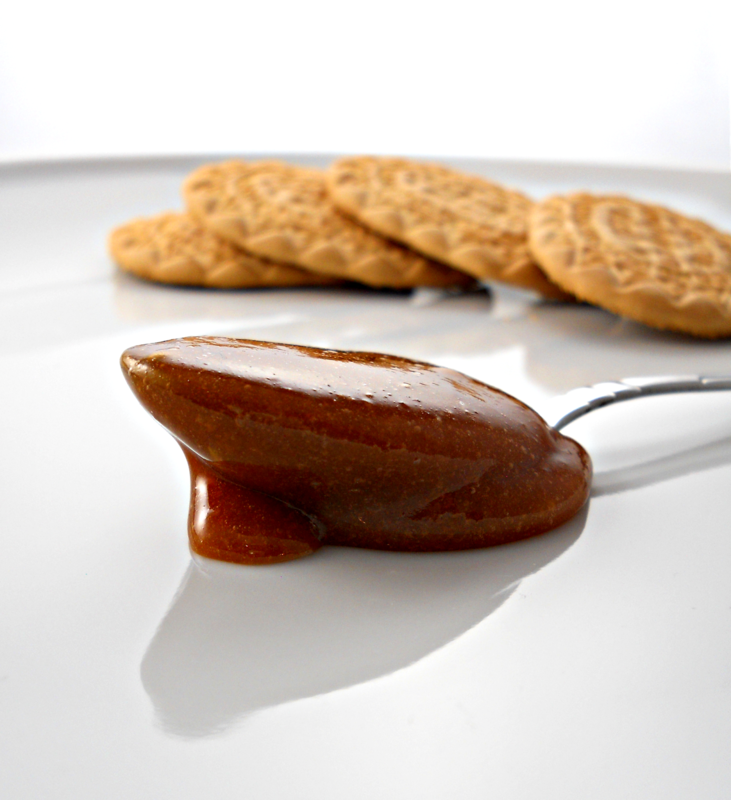 ), dulce de leche became very popular. Maybe, it was trivial stuff for Southern Americans, but Italian foodbloggers fell in love with it! Let's be honest: dulce de leche is good, very good, hard to resist (in particular for a person like me, who loves super sweet stuff). So, I don't know why it took me so long to make my own, considering how easy the recipe is. I was telling myself: it is so easy to make! I will make it one day or another! The recipes you find in the web are very similar to each other (not that there is much to vary...). Some of them starts from evaporated milk, others from regular. I followed the recipe of Patricia B., a commenter of Cavoletto, and the result was...remarkable! :) I just used vanilla extract because I was out of vanilla beans :P.